We are happy to service your home in the San Francisco Bay Area, including Oakland, Alameda, Berkeley, Castro Valley, San Ramon, Orinda, Lafayette, and surrounding cities..
You have made an investment in the quality of your home's interior. Keeping carpet and upholstery clean is key to getting the most from your investment. Our job is to provide this cleaning service professionally and to ensure your peace of mind. Your home is in competent and capable hands. Our service goes beyond just cleaning. We make sure your entire experience with SurfClean working in your home is an enjoyable one. 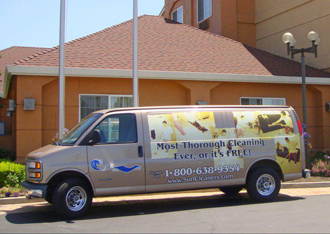 SurfClean believes in the highest degree of professionalism and expertise. We are certified by the IICRC (certification #66518) to assure you the highest quality carpet care. Please don’t hesitate to call if you have any questions or you would like to make an appointment.